The National Thoroughbred Racing Association (NTRA) is a North American-based coalition of more than 100 horse racing interests and tens of thousands of individual stakeholders consisting of horseplayers, racetrack operators, owners, breeders, trainers and affiliated horse racing associations, charged with increasing the popularity, welfare and integrity of Thoroughbred racing through consensus-based leadership, legislative advocacy, safety and integrity initiatives, fan engagement and corporate partner development. - Establishes and secures implementation of safety and integrity standards and practices at the racetrack level through an Alliance Code of Standards and accreditation process. - Reaches new and existing fans, horseplayers and industry stakeholders by utilizing a combination of platforms to promote horse racing. 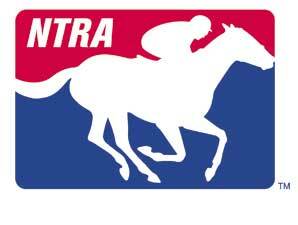 The NTRA owns and operates the Eclipse Awards, bestowed upon horses and individuals whose outstanding achievements in North America have earned them the title of Champion in their respective categories, and the National Handicapping Championship, the world’s richest horse racing handicapping tournament. - Advocates for federal legislation on behalf of the Thoroughbred industry through legislative advocacy in Washington, D.C., and operates Horse PAC, among the largest gaming-related federal political action committees in the United States. - Develops partnerships and delivers cost savings on products and services to NTRA members and affiliated members from leading partner suppliers.